Stability is the measurement of a disc's tendency to bank laterally during its flight path. 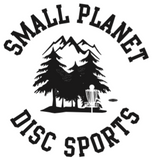 The stability of a disc is determined by the Disc Flight Rating Numbers. Tend to fly straight when thrown flat, straight and with medium power. Tend to turn to the right when thrown flat, straight, with medium power for right handed back hand throws (RHBH). Opposite for left handed players. Easiest for beginners to control. A disc with a turn of -4 and fade of +1 will fly to the right for the majority of its flight, then curve back slightly left at the end (For right handed, backhand throw). A disc with a turn of -1 and a fade of +4 will turn slightly right during the middle of its flight and turn sharply left as it slows down. We strongly recommend to new players, to choose discs from the Understable & Stable-Straight categories.